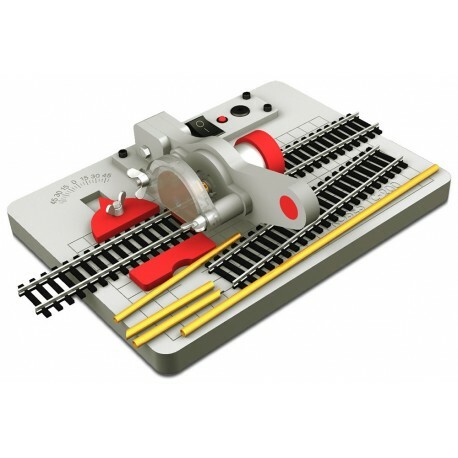 Materials to cut: Model train tracks, non-ferrous soft metals. Includes and additional security switch to stop the motor when the arm is raised above 20mm. Track cutting tool, AC/DC power adapter, mains cable, spare disks. By buying this product you can collect up to 90 loyalty points. Your cart will total 90 loyalty points that can be converted into a voucher of € 4.50.